I’m doing an experiment this week. I’m doing minimal post-editing and podcasting without fancy intro, outro and bumper music. As we called it “back in the day”, live to the hard drive. This is not a format change. It’s just to show you that you don’t need to do all that fancy stuff to put out a good podcast. In fact, I’m recording from my mobile studio (my van) using the mobile setup. Just a bit about my “Real Radio” guest hosting the other day…. Sometimes complicated makes things better. Sometimes not. Find a workflow that you are comfortable with and then concentrate on the content rather than the tech. The default feed from wordpress and powerpress is best. Channels are second best. Post types (even though they are complicated to setup) are 3rd best followed in LAST place by category feeds. Don’t start a Network when you are new at podcasting. Start with one show and make it Good. Then maybe start other podcasts. Don’t start by trying to do interviews by skype. This one is for the listeners. Blubrry is 3 different things. I’m going to talk about the #2 thing as you already know about #1. RSS Feed size. Does size matter? This is for those of you that have been podcasting a while. You don’t want your feed to take a long time to load. Ways to limit the size of your feed. Also, you can support the show by going to PodcastHelpDesk.com and on the right sidebar (on a desktop/laptop browser) there are some banners there. Amazon is one. If you shop at Amazon, and everyone does, click on my banner first and then go do your shopping. It doesn’t cost you anything more and gives me a little kickback. 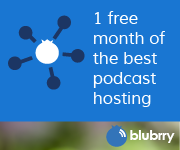 Also, if you are going to start a podcast, you need web hosting. Click my Bluehost banner and get hosting there (very good hosting for WordPress sites). 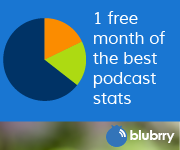 Let me know you did that and I will give you a free hour of consulting to help you setup your podcast website and RSS feed.